For years, you might have been told by many dentists that spots on your teeth are impossible to get rid of. Luckily, this is not the case! Dr. Alrez provides enamel microabrasion services, which help to eliminate irregularities and discoloration defects on your teeth. 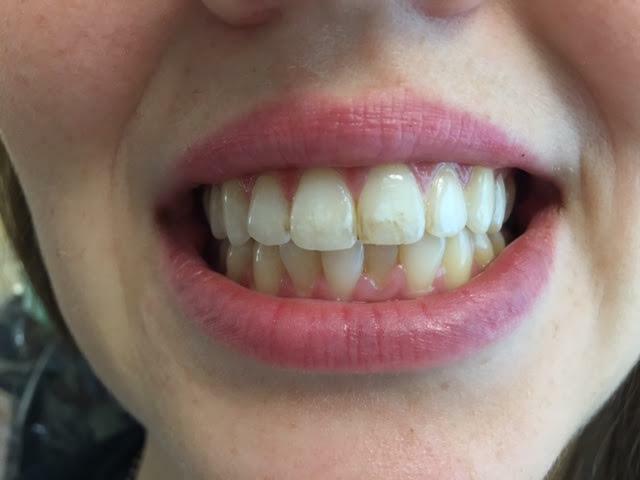 This is a different process than regular whitening, as it helps to remove decalcification stains, rather than just improving the color of your smile. 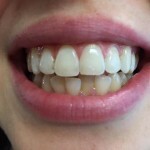 In fact, regular whitening methods have no effect on these type of enamel spots. 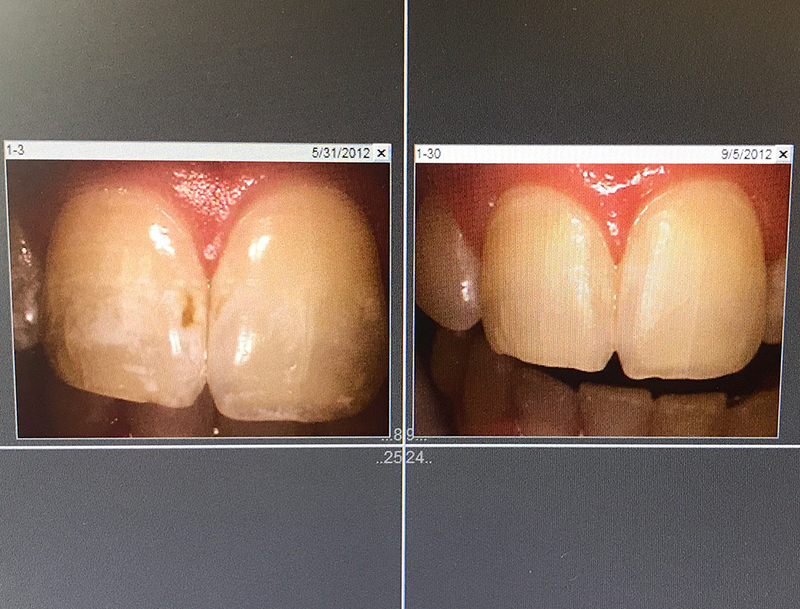 While fixing these enamel spots sounds like a complicated process, it’s actually very quick and easy. Some patients may require multiple appointments depending on the location and severity of the problem. Don’t believe us? Here’s a testimonial and photos from a recent patient, Brittany B. from Wilmington. 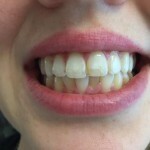 For years, multiple dentists had been telling me that the white spots on my two front teeth were a result of a lack of calcium. I was allergic to dairy, and they told me there was nothing I could do about the spots. I never even thought to ask for any other opinions. Then I met with Dr. Alrez and her first thought upon looking at my teeth was to ask if I wanted the spots removed. I probably stared at her for a while confused because I was under the impression there was nothing I could do. Within a few minutes, Dr. Alrez had treated my front teeth and I didn’t feel a thing! I was shocked at the results that happened in less than five minutes! Alrez Family Dentistry uses two main products for helping patients who have an enamel issue. Both are painless and require very little time. Ultradent’s Opalustre and OpalCups™: This product is used in the office, and is ideal for removing superficial white and brown decalcification stains due to enamel mottling from fluorosis. The ingredients in the Opalustre provide chemical stain removal along with gentle mechanical abrasion. Then the OpalCups polishing cups are used with the Opalustre for micro-polishing the newly treated enamel service. The process is quick and painless. Some patients may require only one treatment, while others may require a few separate appointments. Opalustre is also gluten free and kosher certified. ICON: Icon is a breakthrough micro-invasive technology that fills and reinforces demineralized enamel without drilling or anesthesia. 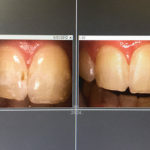 The process is quick and easy, meaning you can have it done with one visit to our office. If you are interested in having Dr. Alrez help with any discoloration problems, feel free to contact the office by filling out a form, calling the office, or scheduling an appointment directly from the home page. Dr. Alrez will meet with you and tell you your options. 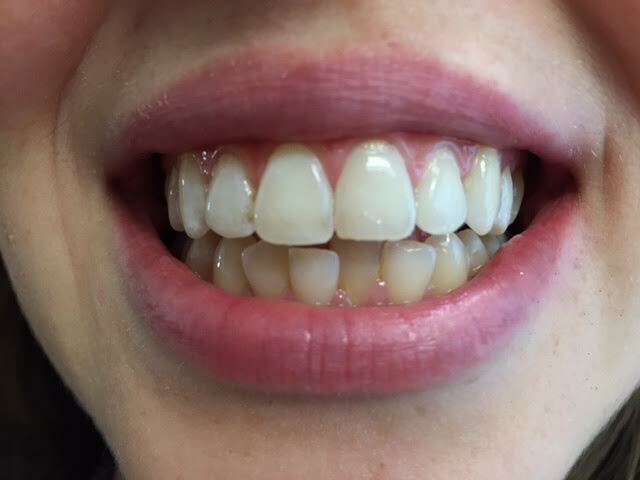 If you are a good candidate for enamel microabrasion, she can start treating you right away!